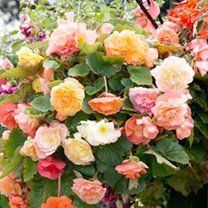 Begonias are a beautiful flower and a great addition to any garden. 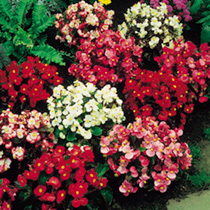 They are excellent for containers, baskets, borders or in pots in the greenhouse. They will brighten up any garden with the lovely colour range that they come in. The beautiful half hardy annual/perennial needs to be sown between December and February under glass in a gentle heat for flowering between June and September. Begonia seeds should germinate within 15 to 50 days. As the seedlings develop transplant as necessary and grow on. 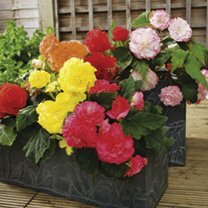 The Begonia plants need to be acclimatised to outside condition before planting out at 20cm apart.